What Does a Klonopin Addiction Look Like? Benzodiazepine drugs like Klonopin can be beneficial for people with anxiety disorders, but Klonopin can also be dangerous for people who enjoy the relaxation and sedation this drug can bring. Recovery starts with withdrawal, but that process must be managed carefully. A tapered withdrawal, done under the supervision of a medical professional, is the safest way to achieve sobriety from Klonopin. Then, programs that combine individual therapy, group therapy, and support group work can help people to maintain the sobriety they achieve with medical detox. The science of treating anxiety attacks, panic attacks, and general stress disorders has given rise to an entire industry of lifesaving pharmaceuticals. One of the weapons in this fight is called clonazepam, which is sold under the brand name Klonopin. 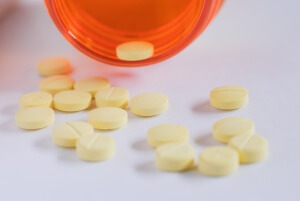 Clonazepam is one of the many drugs in the family of benzodiazepines, a class of medications that account for some of the most widely prescribed antidepressants and sedatives in the United States. Benzodiazepines work by boosting the release of a neurotransmitter referred to as GABA. The brain normally produces GABA on its own in times of stress and tension, which neutralizes the extra adrenaline that is created during heightened situations. GABA acts as a kind of brake to the other neurotransmitters that, if left unchecked, can lead to chronic feelings of panic and anxiety in patients. People who have conditions like bipolar disorder, that exacerbate conditions like insomnia and depression, need greater amounts of GABA in their systems than the brain can normally produce, and that is where benzodiazepines (and drugs like Klonopin) come in. Klonopin’s nature as a benzodiazepine make it a drug of choice to not just treat panic and anxiety, but also seizures and epilepsy, according to WebMD. It is an “especially effective”drug to reduce anxiety symptoms that are part of depression and panic disorder, in the words of a psychiatrist speaking to FOX News. However, like benzodiazepines in general, Klonopin can be very addictive for clients who are plagued by severe and chronic pain, or for people who enjoy feelings of sedation and tranquility that come with consumption. As with any drug, improper intake comes with a price; there were 76,577 emergency room visits as a result of Klonopin being taken dangerously in 2011, which marked an increase of more than 100 percent for Klonopin-related visits from 2004. To that point, two forensic scientists explain that notwithstanding benzodiazepines being “invaluable therapeutic agents,”the drugs also present complicated problems because of their effectiveness and addiction potential. For that reason, the U.S. Drug Enforcement Administration considers Klonopin risky enough to classify it as a Schedule IV drug under its Controlled Substance Schedule. 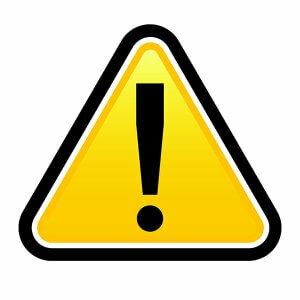 As a Schedule IV drug, Klonopin’s medical benefits are recognized, as is its relatively low potential for abuse; however, its dangers and risk for abuse require federal oversight and regulation. As a result, clonazepam/Klonopin is officially a controlled substance in the United States. As with most drugs, a Klonopin addiction compels individuals to seek out more of the drug, even to the detriment of their finances, relationships, and physical and mental wellbeing. The genesis of a problem may be benign: a simple prescription from a doctor to treat the symptoms of panic disorder, seizures, or even insomnia. Consider the case of Stevie Nicks, the former singer of the band Fleetwood Mac. Nicks was prescribed Klonopin as part of a program to help her adjust to life after kicking a cocaine habit. Even though Klonopin, like most benzodiazepines, should not be taken for more than nine weeks, her state of mind led her to keep consuming the drug well past that point (33 percent of the people who take Klonopin for more than four straight weeks start to develop signs of a tolerance). Speaking to The Telegraph, Nicks relates how she gained weight, lost the motivation to continue her career, and by the time she acknowledged that the Klonopin was taking over her life, had reached the point of taking six pills a day (Drugs.com advises that Klonopin intake should not exceed 1.5 mg per day). In an interview with the BBC, Nicks candidly says that Klonopin was “more deadly than the [cocaine]”she had been trying to kick before she had been prescribed the medication. The Journal of the American Board of Family Medicine refers to this as “syndrome reemergence,”which can take place after an individual has been taking benzodiazepines daily, in high doses, for a period of up to six months. If these effects are felt or observed upon the termination of Klonopin intake, that is a sign that the intake has gone too far. A former Klonopin user tells ABC News that his withdrawal symptoms kicked in just a day after he terminated a two-year habit (even after tapering off for six weeks), comparing his experience to that of having a stroke: general numbness in the limbs, and confusion and disorientation to the point of not seeking help. The damage is such that even though he is off Klonopin, he has a permanent limp. For this reason, the Vice Chairman of the National Council on Alcoholism and Drug Dependence considers Klonopin one of the most dangerous drugs off which to detox. It can take years for individuals to overcome their compulsion to stay on Klonopin, and it can leave people with memory problems or even dementia. Of course, prescription drugs do not need a legitimate medical concern to be abused. A study published in the journal Drug and Alcohol Dependence found that people who use a combination of benzodiazepines and opioids take the benzodiazepines purely to enhance the powerfully euphoric effect they get from the opioids. The relative ease of obtaining prescription drugs (from well-meaning relatives or friends, or by lying to sympathetic doctors) also contributes to the epidemic of benzodiazepine (and Klonopin) abuse. Those who find themselves unhealthily using Klonopin may want to simply stop taking the drug, but the strength and addictiveness of clonazepam mean that a “cold turkey”cessation can cause withdrawal symptoms that last for months. 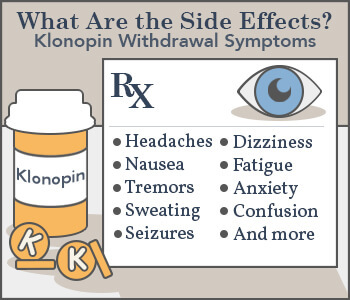 In cases of chronic Klonopin use, individuals may have seizures as a result of the body being suddenly deprived of the drug upon which it has become hooked. To that point, an article in the British Journal of Psychiatry concluded that “stepped care”(with what the authors referred to as “systematic discontinuationâ€) was the preferable termination option for weaning off benzodiazepines.The safest way to get off Klonopin is with the assistance and supervision of professional staff at a treatment facility. Trained healthcare professionals will conduct a full medical and psychological evaluation of clients before weaning them off Klonopin. This step is vitally important, because staff need to know how to control for all the possible variables presented ” variables that can influence the strength and duration of withdrawal symptoms. In cases of severe symptoms, doctors need to know what anti-anxiety, anticonvulsant, or muscle relaxant drugs to prescribe. Individuals attempting to detox on their own will not have access to these medications, and they risk serious medical complications. This is why detox should never be attempted alone or in an unsecured environment. Detoxing from Klonopin is only the first part of the treatment process. Without therapy and counseling, individuals are unlikely to learn how to maintain their sobriety in the face of the challenges and stressors that once drove them to take more and more Klonopin. The journal Addiction advises that the best way to help individuals overcome benzodiazepine addiction is a combination of gradual reduction in intake and psychological support. The latter should be a part of treatment in the weeks and months following a successful medical detox. Specifically, a therapist should promote “the learning of non-pharmacological ways of coping with stress.”One of the many goals of therapy should be to teach clients how they can function in difficult situations without turning to drugs or alcohol to make it through. The National Psychologist explains that relapse prevention is a key component of addiction treatment, wherein a therapist shows the client how to anticipate the triggers of a relapse, how to control reactions, how to focus on making it through a stressful situation without relapsing, and how to cope with a relapse. One of the chief treatment tools in a therapist’s arsenal is Cognitive Behavioral Therapy, which works by changing the client’s thinking to minimize the chances of relapse, according to the National Institute on Drug Abuse. As CBT also gives clients skills to deal with temptation and stress in healthy and positive ways, it is a proven method of helping people discontinue benzodiazepine intake safely and successfully. Klonopin (clonazepam) may be one of the most dangerous and addictive drugs on the prescription market today; it may even be worse than cocaine for the damage it can do. But thanks to detoxification and counseling, a person no longer needs to be bound to Klonopin addiction. Whatever the cause of the original intake (pain management, stress relief, or looking for a legal high), help exists to take the first steps away from a Klonopin addiction.